2009 was a rough year for storm chasing in that based on the long range models I knew that the odds of seeing a tornado were practically nil before I even got to Oklahoma City. Unfortunately, the models were right! The pattern shut down about two days before I arrived, and started back up about two days after I left. On the plus side, we still chased on seven of the ten days, and since only one or two of the days had so much as a "slight" threat issued by SPC, our forecasting skills were tested to the max. One thing I can be happy about is that if there was a storm of the day, we were pretty much on it. 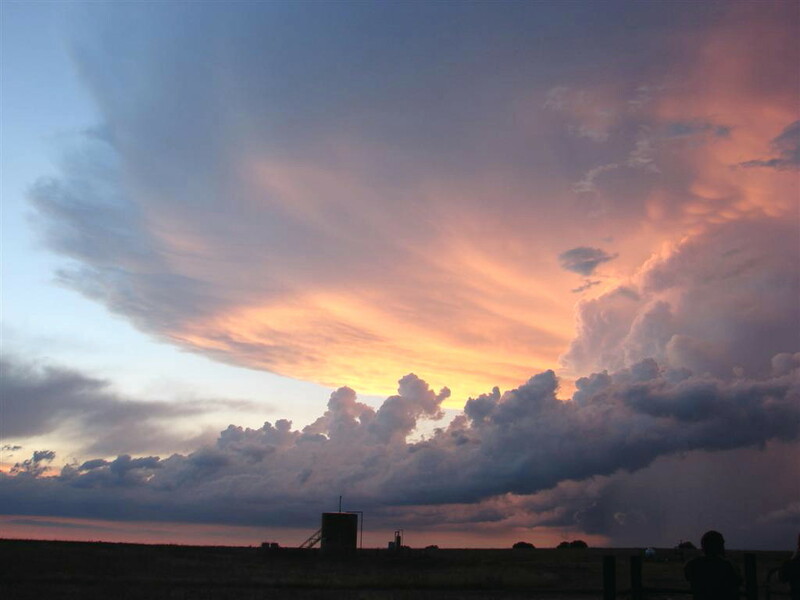 Also, the twilight storm near Ft. Worth (pictured at right), was one of the most beautiful storms I've ever seen. May 20th, 2009: A long trek up to the Nebraska Panhandle, two borderline severe thunderstorm with some nice structure. May 24th, 2009: Nicely structured hailer and flash flooding in Wheatland, WY near the Laramie Mountains. May 26th, 2009: Two nice supercells near the Ft. Worth, TX loop highways with copious hail and an anti-cyclonic supercell with fantastic structure and a twilight lightning show.